Usually, I don’t post “The Typicals” type recipes. Try to stick with things that are close to different or new-er-ish, etc. But, figure I throw something up here. It’s easy and quick. We’ve been making these a loooooonnng time now. Even versions using Croissants. Making Alfredo Chicken N Brocc. stuffed Croissants. Boil chicken. In pan, heat sauce, garlic, pepper, parm. cheese. Shred chicken. Mix chicken and broccoli with sauce to consistency desired. Make cups using fridge biscuits (I use large sized). Add chicken mix to cups. Bake according to biscuit instructions (Mine goes a few minutes longer). Quicky: Use Garlic Powder in place of clove. Shred chicken, add everything together (No need to heat). Fill biscuits. Bake. 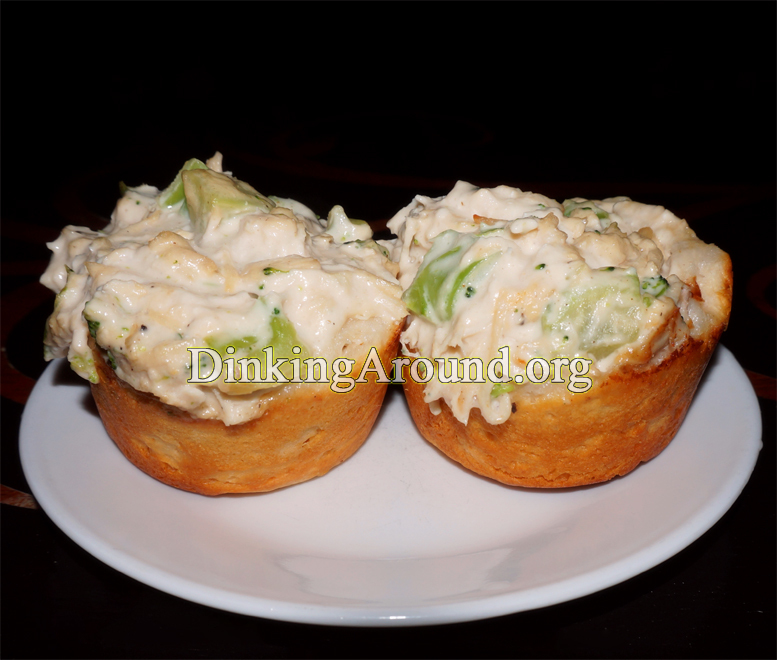 This entry was posted in Main Dish O' Food, Recipes and tagged alfredo, biscuits, chicken, easy. Bookmark the permalink.